Are you frustrated by a lack of progress in the gym? 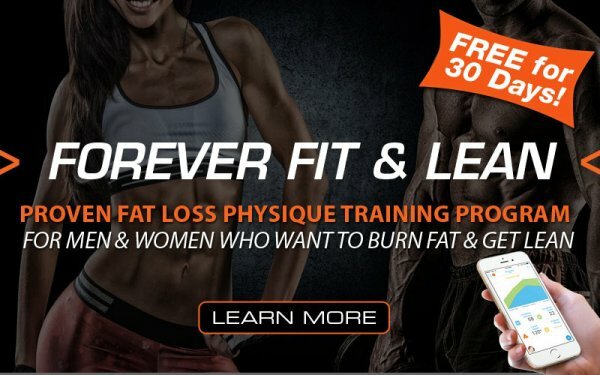 Fed up with not seeing the results you deserve with your physique? Annoyed by nagging injuries that never seem to go away? Sick and tired of being tired? If you answered yes to even one of the questions above, we have THE solution for you! How would you like to feel like a friggin’ AWESOME athlete every single day? By awesome we’re talking about being stronger, leaner, having more muscle, energy and mojo than you have ever had!! IF YOU WANT TO FEEL AND PERFORM BETTER THAN EVER IT’S TIME TO TAKE YOUR TRAINING TO THE NEXT LEVEL! We Have Customized Coaching and Proven Training Programs to Help You Achieve Any Goal and We Are Going to Get You Started for FREE for 30 days! 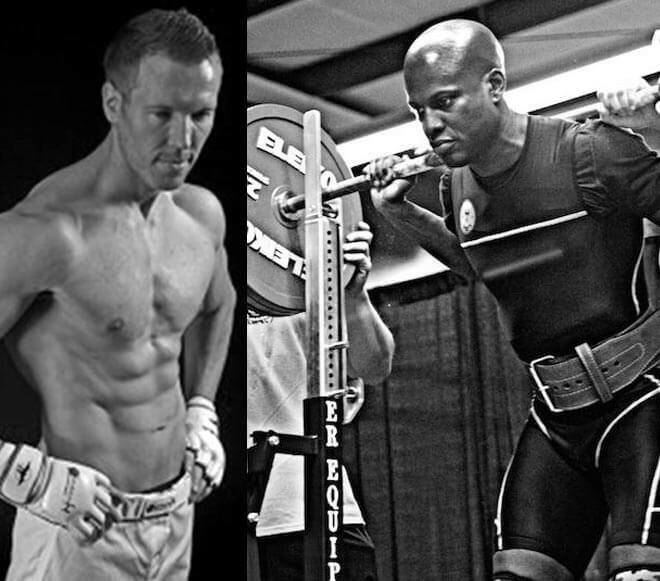 We build world-class athletes and champion physiques. It’s just that simple. 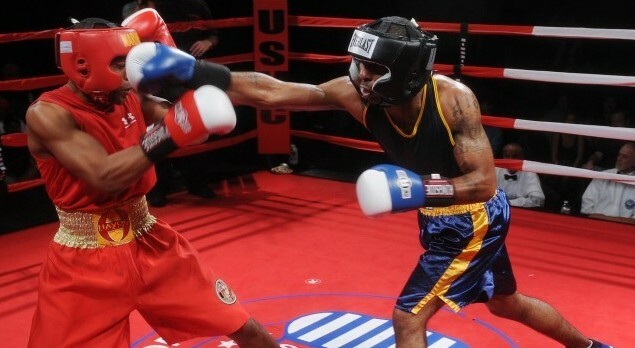 We have trained the best-of-the-best in virtually every sport and it’s time you took advantage of our proven online customized coaching and training programs to take your body and performance to the next level! 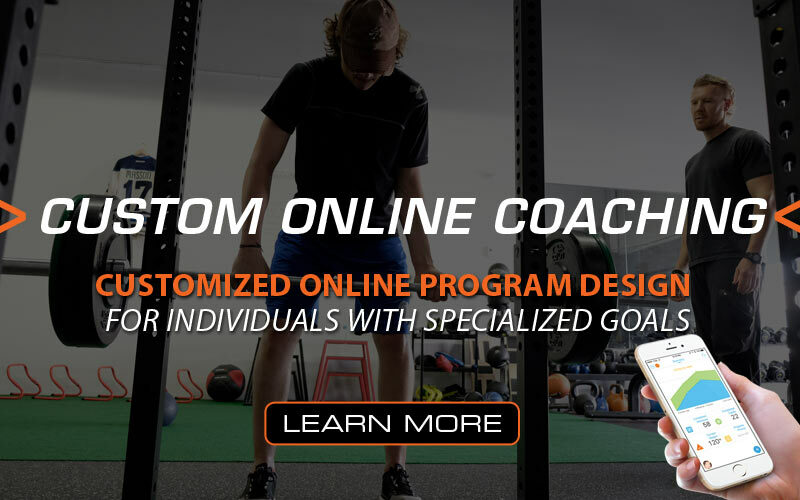 Choose from either our completely customized online coaching program where we work one-on-one with you to develop the perfect program that’s specific to your individual needs. Or you can choose from one of specific training programs depending on your athletic or fitness goals. Each training program is designed with your unique needs in mind. 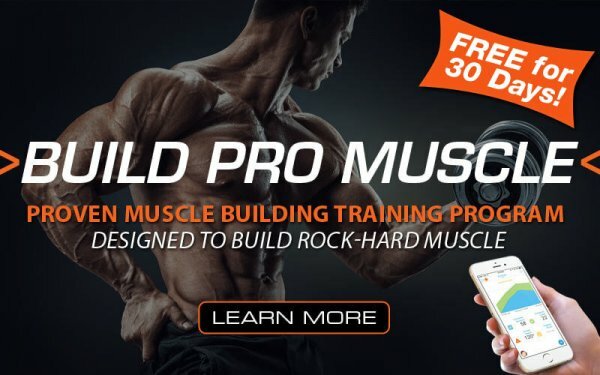 Whether you choose our customized coaching service or one of our proven training programs, you’ll get exclusive access to our personalized cutting-edge training app where you can access your workouts, track your progress and watch exercise video demonstrations – all from the convenience of your smart phone! I Need More Details. How Exactly Does Online Training Work? 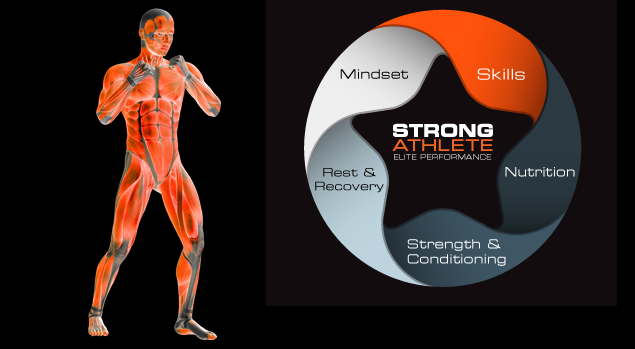 When you sign up for a Strong Athlete Online Training Program you will be able to get started immediately! You’ll receive an email to set up your personalized account on our online athlete platform. 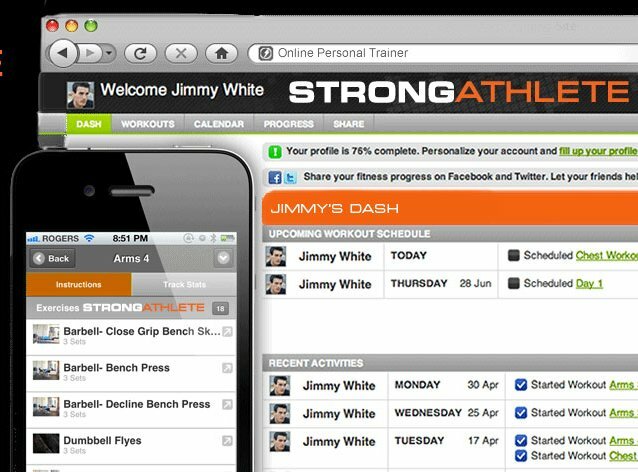 Once that’s complete, you’ll be able to download the Strong Athlete custom training app directly onto your smartphone. Our cutting-edge customized training software app will deliver your monthly training programs directly to your smartphone and/or computer. In your personalized account, you can track your workouts, watch detailed exercise videos to learn proper exercise technique, monitor your rest times and use our instant messaging service to receive regular tips and tricks to take your results to a whole new level. With our online training system, we can give you what you need, when you need it. When you sign up and join our Strong Athlete Team you will finally have all the support and guidance you’ve ever needed to take your body and performance to its highest potential. Once you start training with our exclusive Strong Athlete training app you will never want to train any other way again! Receive regular tips and tricks from us to ensure your ongoing, long-term success! 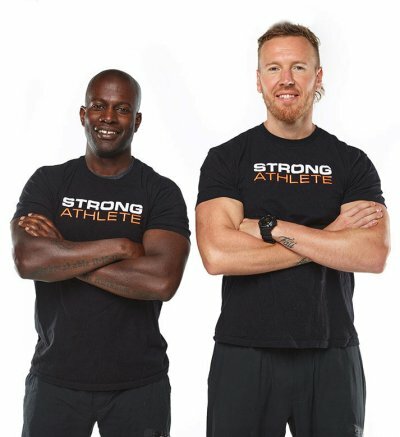 The workouts in our Strong Athlete Online Training Programs have been developed from our countless years of working hands on with world-class amateur and professional athletes. 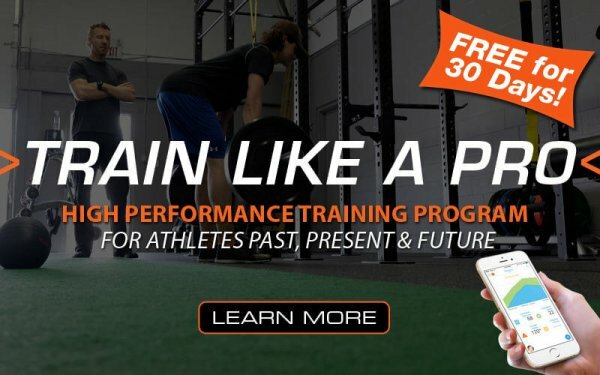 Each month you’ll receive a brand new training phase that includes a complete warm up, detailed training program including exercise selection and sequence, set, rep and tempo recommendations as well as prescribed prehab and mobility work to keep your body running like a finely tuned machine and all for far less than you’d pay for a personal trainer at your local gym! Click on the program that best suits your training goals and get started today! Enter the discount code TEAM at checkout to start your FREE 30 days with Strong Athlete and start training!